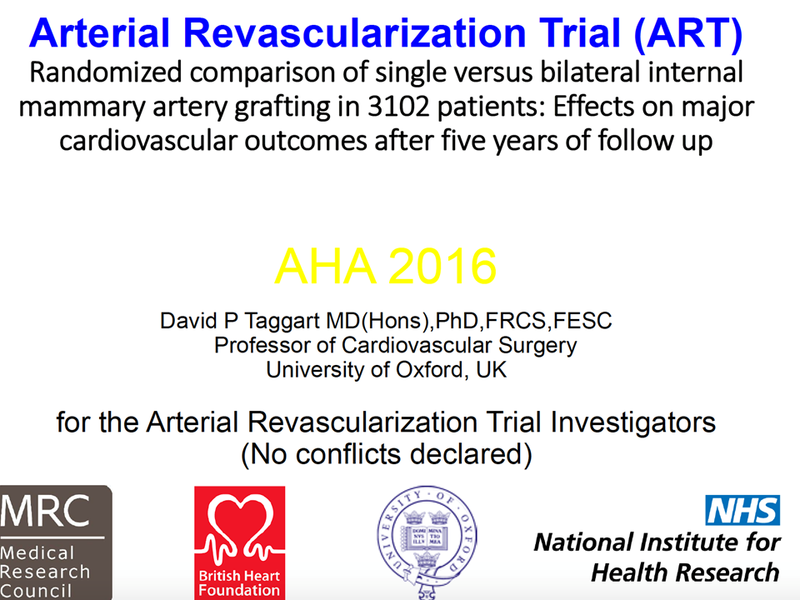 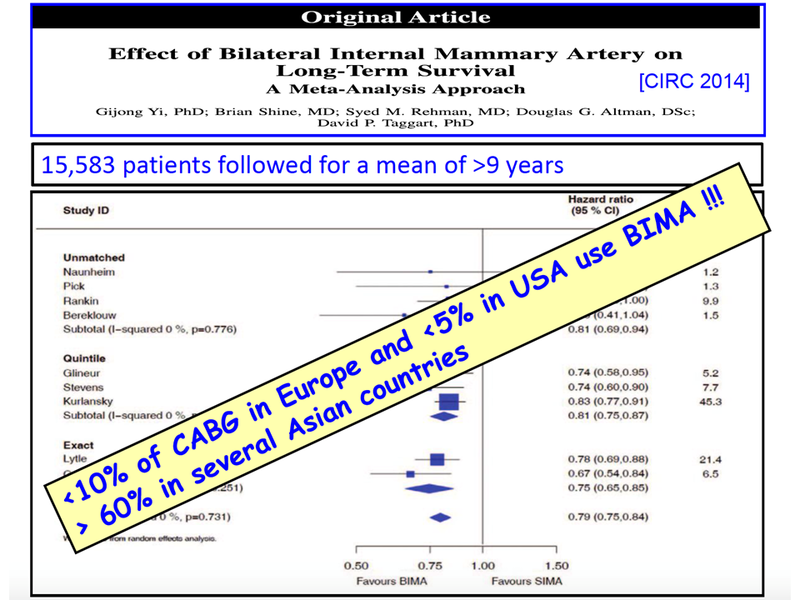 The use of bilateral internal thoracic (mammary) arteries for coronary-artery bypass grafting (CABG) may improve long-term outcomes as compared with the use of a single internal-thoracic-artery plus vein grafts. 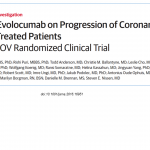 P = 0.69). 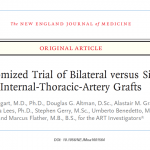 The rate of sternal wound complication was 3.5% in the bilateral graft group versus 1.9% in the single-graft group (P = 0.005), and the rate of sternal reconstruction was 1.9% versus 0.6% (P = 0.002). 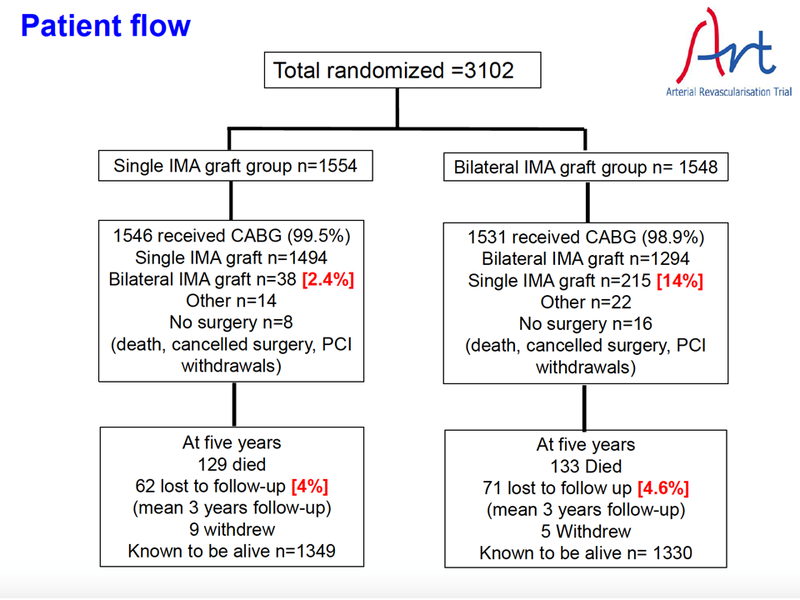 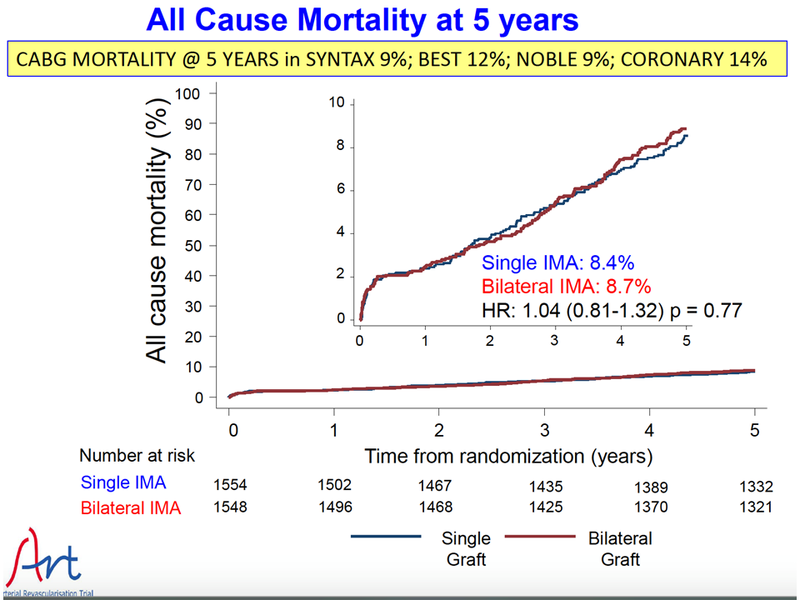 Among patients undergoing CABG, there was no significant difference between those receiving single internal-thoracic-artery grafts and those receiving bilateral internal-thoracic-artery grafts with regard to mortality or the rates of cardiovascular events at 5 years of follow-up. 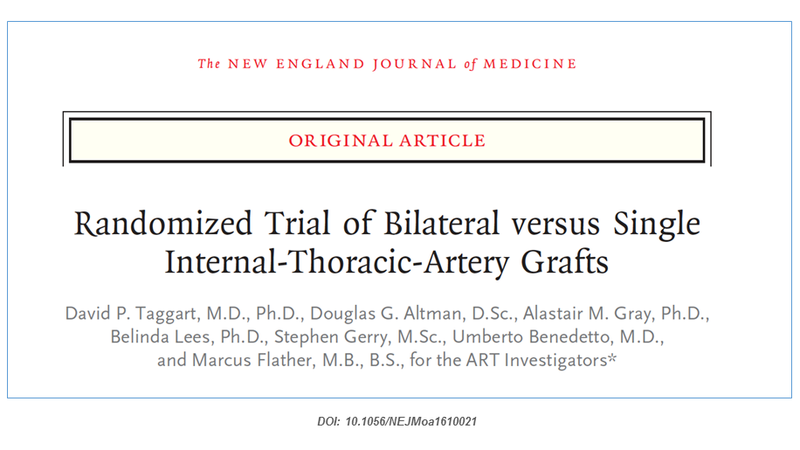 There were more sternal wound complications with bilateral internal-thoracic-artery grafting than with single internal-thoracicartery grafting.